As far as toy cars go, it is my youngest who has always been the most interested, Jake my eldest never really bothered about cars, but Mikey really does like them and he loves the hotwheels cars and wall tracks that we have. So when we were offered to try out the new range from Hotwheels I thought he would love it. The new range of Hotwheels is called Ballistiks and has a new twist on the classic matchbox cars. The Ballistik cars are unique in that they can transform into a ball, and pop back open again, Mikey really does love them. They are almost like a boy version of Zoobles which my daughter loves. The quality of the cars is good and they stay in a ball shape even with alot of play, and also pop open when the button on the top is pressed, which makes them great pocket money toys that boys will simply love. We were also sent the Ballistiks full force shooter to review. 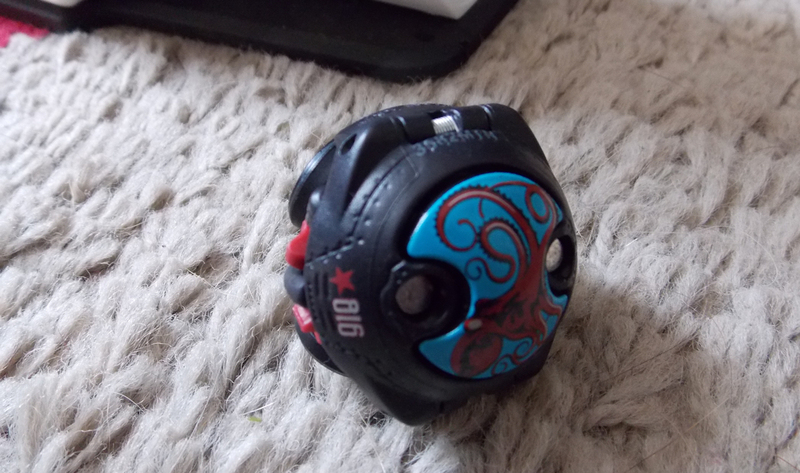 This is a device which you can load your ballistik hotwheels into and then fire them across the room. 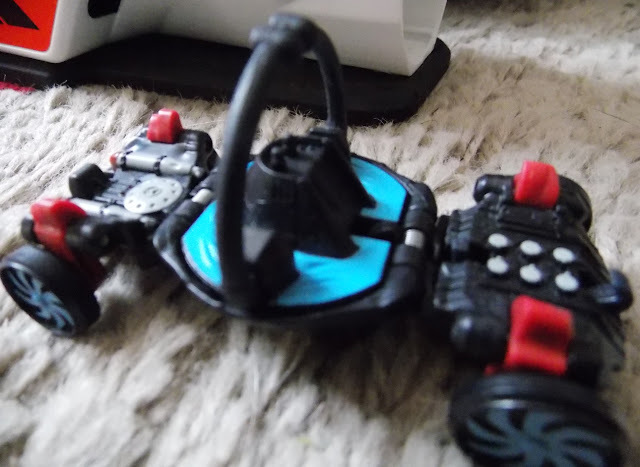 The idea is a ok one, and adds an additional play element to the ballistik cars alone, but there are a few errors with the shooter, the main one being that it doesn't seem to make the cars open as they are released, so in effect all it does is roll the balls. 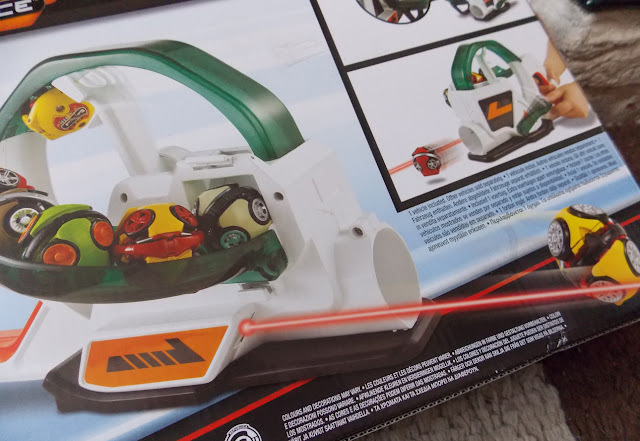 The Shooter also requires 2 x AA batteries, these do not come included in the box, and they operate the laser guide but don't really have much extra play purpose. 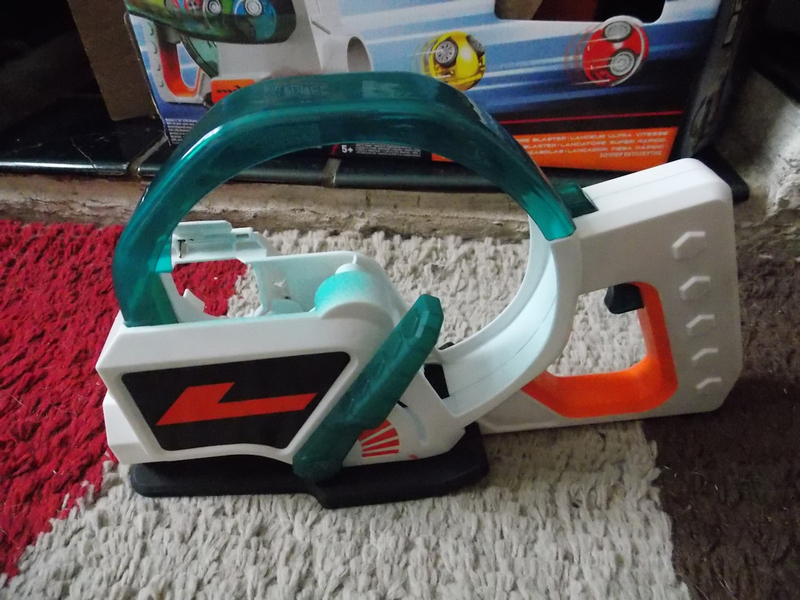 Priced around £20 I think the shooter is a bit on the expensive side, but Mikey does enjoy playing with it. The cars are individually priced around £6.99 and come in several colour varieties, the cars are a great stocking filler or pocket money gift and are sure to be well received by all hotwheel fans. The ballistik cars are however a little wider than a standard hotwheels car and so do not fit on the hotwheel track sets. Ballistik cars and launchers can be found in most good toy stores including tescos, argos and amazon. Many thanks for the exciting blog posting! I really enjoyed reading it, you are a brilliant writer. I actually added your blog to my favorites and will look forward for more updates. Great Job, Keep it up.for more details something like visit pocket money toys for boys get more informations.